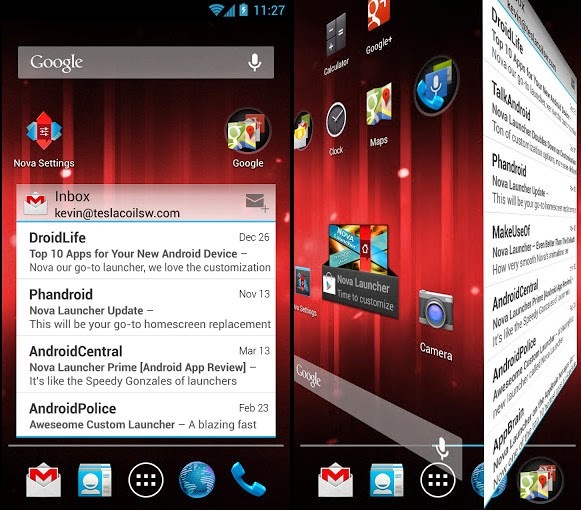 A highly customizable, performance driven, home screen replacement for your android. 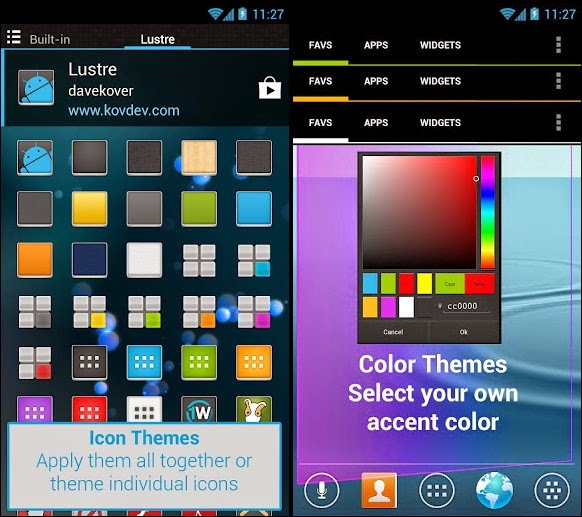 Download Nova Launcher Prime 3.2 (final) Apk with all prime features unlocked, enjoy! • Ok, Google - Use Google Search's hotword right from the home screen, just say the words Ok, Google. Note: Google does not support all devices or locales yet. This limitaiton applies to Nova Launcher as well. 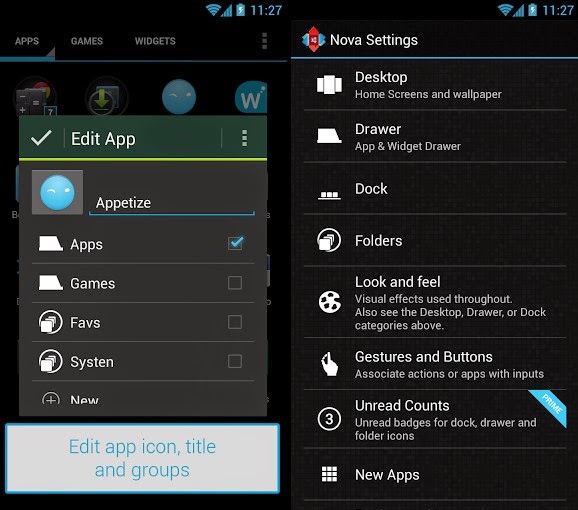 • Import Layout - No need to rebuild your desktop from scratch, Nova Launcher can import from most popular launchers. Including the one that came with your phone. • Fast - Nova Launcher is highly optimized to do it's work quickly and quietly, keeping the animations smooth and letting you use your phone as fast as you can move your fingers. 2. Install Nova Launcher and the Tesla Unread plugin from our site (not from Google Play).